I have been told my whole life that we could be living in the last days and it seems more apparent the longer I life. Clearly, the Bible’s meaning of days and my meaning of days aren’t meeting up in the middle. It doesn’t bother me at all though, because I believe the word of God is true and I totally trust God with every second of my life. Just a brief study of history does help us see the patterns followed that destroyed cultures down through the years. But we rarely learn from the past. We think this time it will be different, that we are somehow smarter than our ancestors. We aren’t smarter; we are more ignorant cause we actually do have history to learn from. It is a formula for destruction…. follow this pattern and your society will implode. Remove the Bible as the absolute morality+ Godlessness + validate evil as good+ make truth the lies and lies aretruth= total destruction of America. Happy holidays? Hardly! We all see the signs, don’t we? I think by this time around with Christmas we all know what’s coming; the protests on the nativity scene, no crosses, don’t wear anything that implies you believe in something other than yourself, with the exception of Allah, of course. That is ok because we certainly don’t want to offend the Muslims — all things Islam welcome here! Merry Christmas though?? “How dare you say that here”? Jesus’birth in a manger? 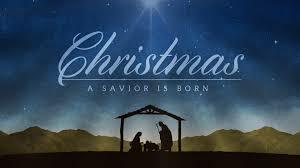 “It isn’t allowed!” There is no Christmas without Christ… “Stop saying that name!” Stop saying that name! Stop saying that name! Why? Because there is power in no other name. There is no other name where men can be saved. Jesus is the way the truth and the life, no one comes to the father except through Jesus. Jesus, Jesus,Jesus, there’s just something about that name. ‘Kings and kingdoms will all pass away but there’s something about that name.’ His name is power, freedom, peace and real life. He is the answer to our questions, he’s the medicine for our pain. There is no hope of peace without Jesus because He is the prince of peace. He is the answer to the question. He’s my friend when I was friendless, he’s the alpha and the omega, he’s the beginning and the end, he’s the way and he is the door, he’s the light of the world- revealing truth to all who will see. He is the forgiveness for my sin. He is my Rock and strong tower. He is enough. We are told to say “happy holidays.” We are told we don’t want to offend anyone. My response to Happy Holidays is a big Merry Christmas! I refuse to be bullied by the very people who claim to have our best interest at heart. No one but Jesus has my best interest at heart. I don’t believe anything anyone tells me without first seeking out the truth from God’s word and Godly counsel. Stop being so politically correct!! Have the guts to step away from the crowd, the herd. Dust off your brain and clear the cobwebs off your backbone. Open your mouth and move your jaw around. Shout and make sure your vocal cords aren’t frozen up. We are in a war! Stop acting like you don’t know what’s going on. We all know perfectly what is happening. Decide to fight for the winning team. While doing so, Love as Jesus loved, have compassion and grace. 3. Everybody is saved the same way. 4. Everyone who is saved can know they are saved. Powerful writing today!! I am so blessed to be leading a children’s Christmas program at our public charter school Thursday evening! It is a rare & unique school that I have the honor & privilege to teach music. One of our songs is titled Beautiful Christmas. 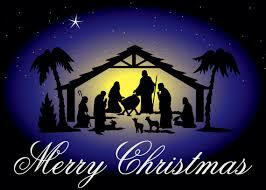 Thank you Jesus for being born to die for us!!! seriously Gina, you are getting such an amazing opportunity- they love and respect you so much.